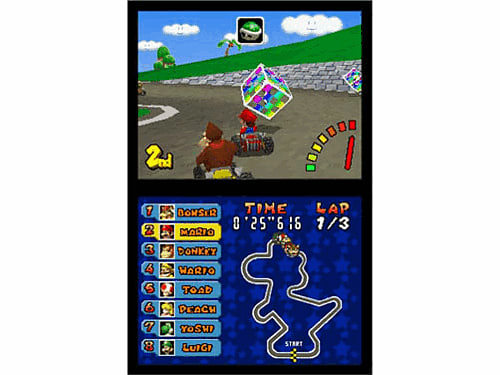 Time to race...no wires attached. 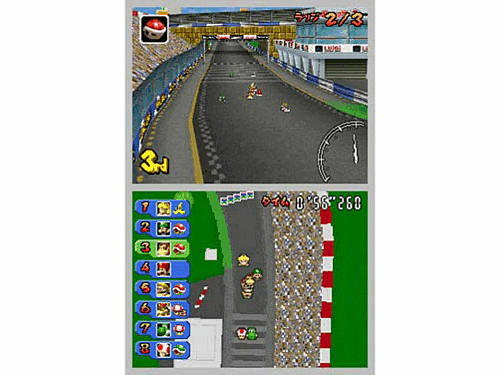 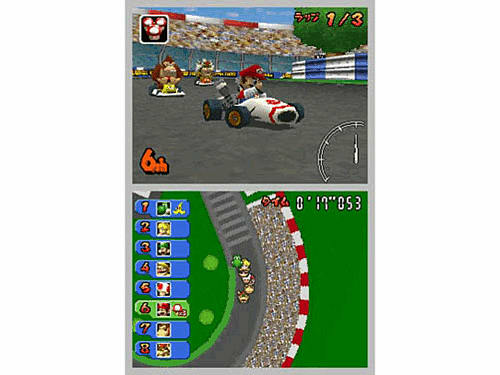 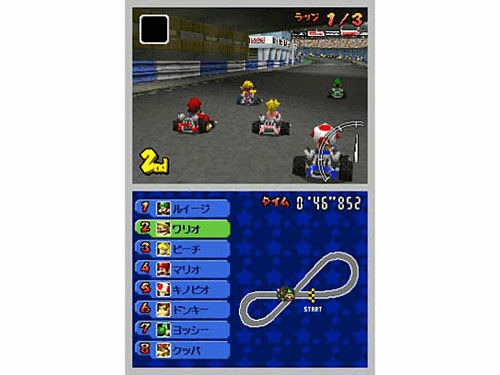 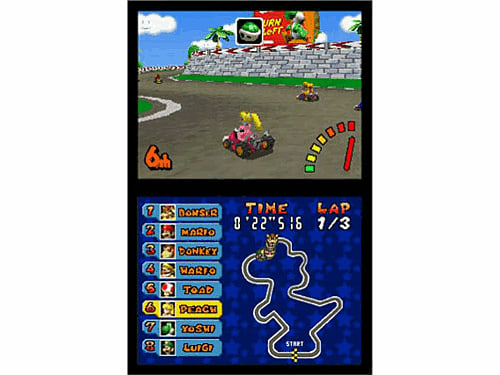 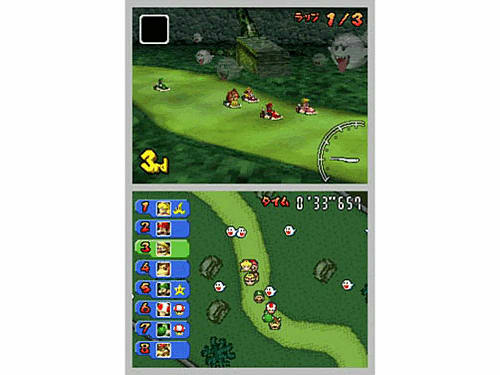 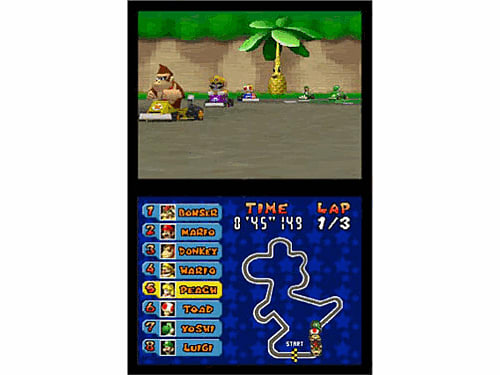 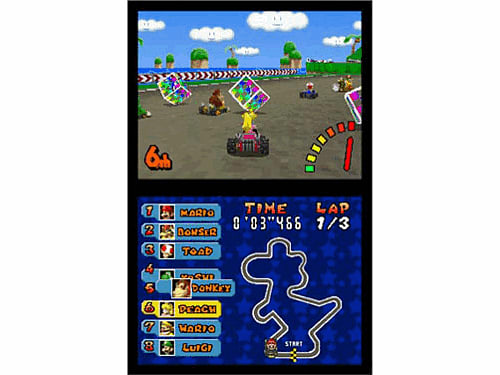 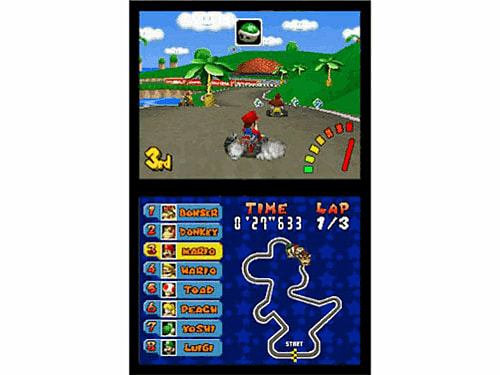 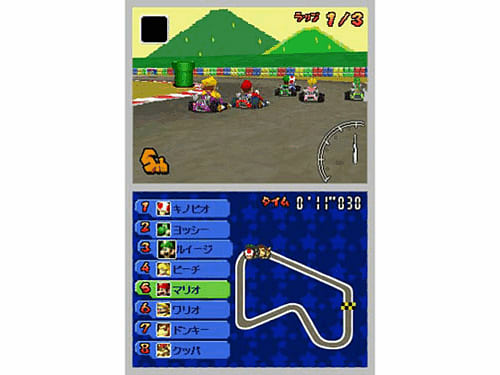 The acclaimed Mario Kart series has gone wireless, letting players race and battle with up to eight karts at once, regardless of whether everyone has a game card. 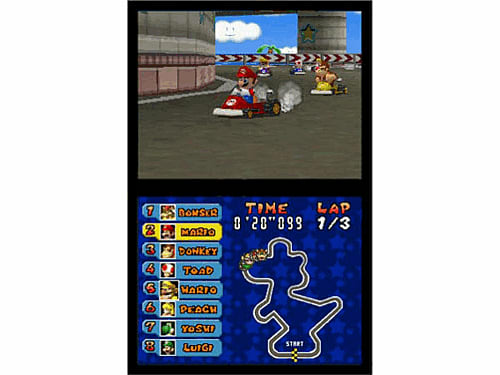 An all-star cast that includes Mario, Luigi, Peach, Yoshi, Donkey Kong, Wario, Bowser and Toad will round out a truly all-star line-up of more than 30 courses drawn from every Mario Kart game. 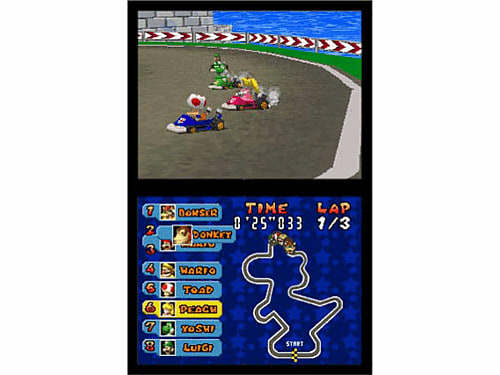 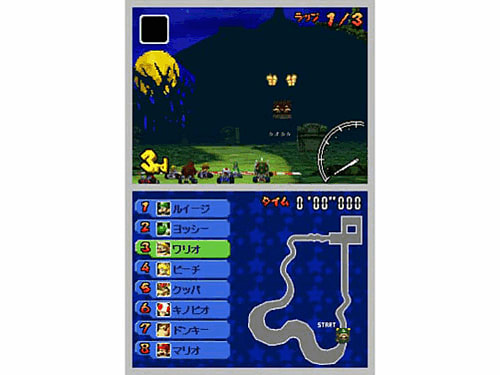 That's right – players will tour courses from Super Mario Kart, Mario Kart 64, Mario Kart: Super Circuit and Mario Kart: Double Dash, not to mention brand-new tracks and arenas. 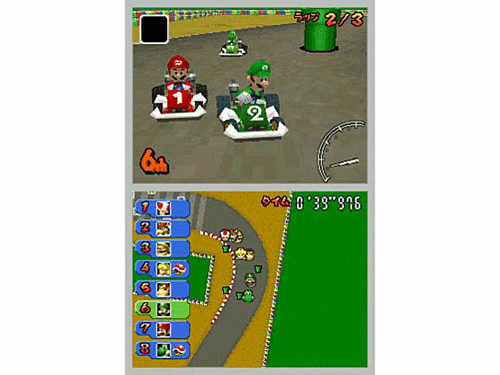 With all the crazy items and frantic speed players have come to expect, this game is a Mario Kart fan's dream. 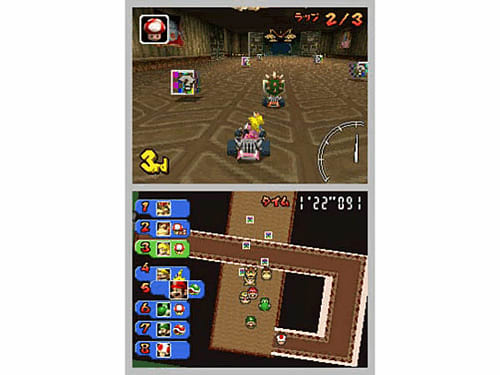 The game has a new dimension of fun, since players can battle others around the world by connecting to Nintendo's new wireless gaming service, Nintendo Wi-Fi Connection, via Wi-Fi.